Submissions are now open for the 5th Annual Māoriland Film Festival, which will take place from March 21 – 25, 2018 in Ōtaki, New Zealand. Māoriland Film Festival is an international indigenous film festival that celebrates indigenous voices and story telling in film. 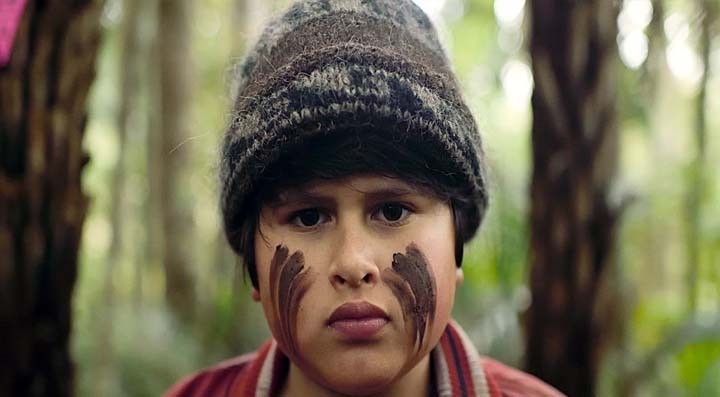 Each March, Māoriland invites indigenous films and their creators to Ōtaki on New Zealand’s Kapiti Coast for five days of screenings, workshops and special events. While a key creative involved in the project must be indigenous, the issue or content of the film may be of a non indigenous matter. This recognises the diverse experiences, identities and perspectives of indigenous people(s), worldwide. For the 2017 Māoriland Film Festival we received over 2800 submissions from around the world. In order for your film to be considered please consider whether it is eligible. Indigenous includes First Peoples, Native, First Nations and Aboriginal people who belong to or whom have had an uninterrupted relationship with their land. This is distinct from those people who have arrived from another place to live in a country. Episodic television series (dramatic or documentary), news reports, extended reportage, television magazine formats, and information programming or segments (such as PSAs) are NOT eligible for programming consideration EXCEPT where an episode may be viewed independently of the series as a stand alone item. Filmmakers under the age of 22 are eligible to also apply under the Rangatahi (youth) Festival programme. A key member of the creative team (director, writer, producer) must identify as Indigenous. Consideration will also be given to films that have strong indigenous representation in cast and theme, however, this will be at the discretion of the selection panel. Submissions open on May 3rd, 2017. The deadlines for submissions are as follows; Earlybird – June 2nd, Regular – October 6th, Late – November 3rd, 2017. Films screened at Māoriland Film festival 2018 are eligible for People’s Choice Awards for Best Short Film, Best Documentary, Best Feature Film, and Best Youth Film. Laurels will be sent to prize-winning films. The deadline for film festival submissions is October 6, 2017. Late submissions will be considered until November 3rd, 2017. Submission to the 2018 festival will incur the below fees. All funding sourced from submission fees goes towards filmmaker hospitality during the festival. Regular – Free for New Zealand based filmmakers, $10 for International Filmmakers, $5 for student filmmakers and youth filmmakers aged 21 years or less. Participants will be notified by email of the selection results by January 31, 2018 (date approximate). If selected, artist/screening fees are issued to the Indigenous creative as indicated on the Submission Form, or to a recognised distribution company. Awards will be given to the Indigenous creative. If selected for the festival, exhibition copies must be sent in by March 1, 2018.